Christmas Day is just around the corner, and if you are like just about everyone else I know this year, you have got just a few more people on your shopping list and absolutely no good ideas about what to get them. To make matters worse, as each day passes and Christmas draws nearer, you start to enter panic mode, and you begin to think that you will never be able to find just the right gift before the holiday arrives. It’s completely okay, believe me I understand. I have a couple of people on my own shopping list that I have a lot of difficulty buying gifts for each year. Now believe me when I tell you that these two individuals are extremely health conscious individuals, and I found out the hard way that just any old Christmas gift won’t do. A few years back, when I very first met this couple I didn’t know a lot about them but I knew I wanted to get them a little something for Christmas. At the very last minute, when I had exhausted all other options, I elected to buy them loads of chocolates and holiday candy and even gourmet hot cocoa complete with mugs, and I took it upon myself to make a beautiful homemade gift basket. Let’s just say; the wicker basket and the mugs were a hit. It wasn’t until a few weeks later that I discovered that they had given all of those yummy treats to a little girl who lived next door. All I could think about was my teenage daughter rolling her eyes and saying “FAIL”! I decided to never “FAIL” again when it came to giving gifts that the recipient would actually connect with. If you have health conscious individuals on your holiday shopping list this Christmas, I’d really love to help you out with some unique Christmas gifts that they are certain to adore. 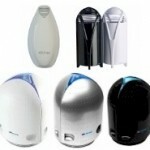 Check out the Slim Sonic Portable Toothbrush for that health conscious traveler on your shopping list this year. This unique toothbrush comes with a slender, fashionable travel case to keep it protected on your loved one’s trips, and it is small enough to fit into cosmetic cases, shaving kits, and even their pocket! Choose from a variety of trendy colors and patterns to match your loved one’s personality. Your loved one will certainly breathe easy this holiday season when you order the Airfree Silent NO Maintenance Air Purifier in time for Christmas. This is an excellent choice if you have someone on your list who suffers from allergies, asthma or other respiratory problems because it removes 99% of mildews, molds, pet dander, dust mites and much more from the air. 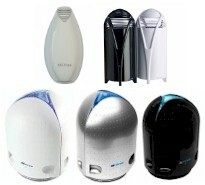 These purifiers are available in five different models so you can choose the perfect one to fit your loved one’s needs/ preferences. 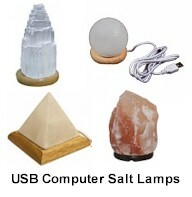 These USB Computer Mini Himalayan Salt Lamps are some of the coolest unique Christmas gifts that I have seen yet when it comes to health conscious ideas. 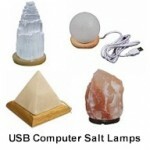 They are designed to plug right into a USB, and offer a soft, relaxing glow while emitting negative ions into the air to provide a calm atmosphere and restful sleep. Do you have more ideas for unique Christmas gifts?